Luxury British marque Bentley has announced that it will unveil an "exciting new model" at Geneva Motor Show this week. Bentley’s new Chairman and CEO, Adrian Hallmark, will use his first public appearance with the brand to unveil the new model, the company said. Alongside this global debut will be the Bentayga V8, which also makes its first motor show appearance. Joining the Bentayga will be the all-new Continental GT, on show in Geneva for the first time. 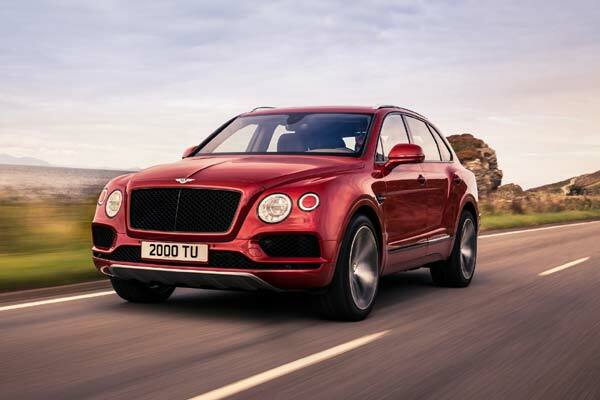 Sitting at the core of the range, the Bentayga V8 features a new-generation 4.0-litre, twin-turbocharged petrol engine which combines immense power with impressive fuel efficiency. The addition of a characteristic V8 burble, stylish twin-quad exhaust pipes and optional carbon-ceramic brakes, reveals more of the luxury SUV’s sporting character. Inside, customers will recognise Bentley’s unique approach to modern luxury tailoring, with the familiar blend of exquisite handcrafted materials and advanced technologies. New styling features include a wood and hide steering wheel and a high-gloss carbon-fibre interior panel finish. With European customer deliveries beginning in the summer, the all-new Continental GT is appearing at the Geneva show for the first time. Designed, engineered and handcrafted in Britain, the new third-generation Bentley Continental GT combines spirited, focused performance with handcrafted luxury and cutting-edge technology, to create the finest Grand Tourer ever produced. The new Continental GT is offered with an enhanced version of Bentley’s peerless 6.0-litre, W12 TSI engine that sets a new benchmark in performance. The interior design of the Continental GT is tailored specifically to the modern luxury customer, with unrivalled attention to detail that creates an effortless ownership experience. The cabin seamlessly integrates cutting-edge onboard technology with the finest handcrafted natural materials. The result is an exquisite, harmonised, connected and luxurious space. Bentley’s personal commissioning division, Mulliner, will also showcase a unique Flying Spur W12 at this year’s show featuring two new and exciting interior finishes: aniline leather and an open pore veneer to the luxury sedan. Aniline leather is the highest quality leather available, with a unique and distinct texture and natural grain. With no coating on the surface, the Golden Oak hide boasts superior seating comfort as it is able to breathe. The new open-pore Walnut veneer featured in Flying Spur provides a more natural and authentic look to the interior. Open-pore veneers have three very thin hand-applied layers of lacquer, to ensure that the natural wood grain can be felt and the colour of the wood is highlighted.